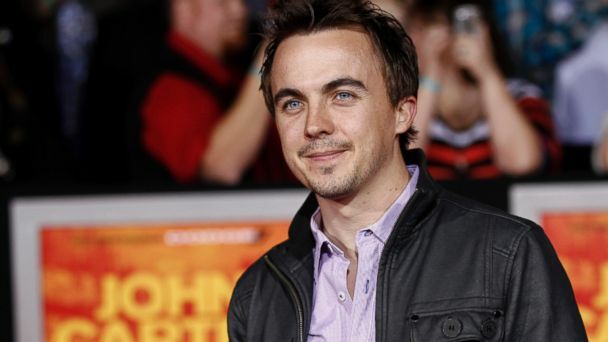 Former "Malcolm in the Middle" star Frankie Muniz, 27, revealed that he has suffered another "mini stroke." "Almost a year to the day, I experienced another mini stroke," he tweeted on Monday. "Hopefully that will be the last. Miserable." Fans immediately responded to his message on Monday, saying "feel better" and "hope ur ok."
Muniz had his first "mini-stroke" last December, saying at the time, "I was in the hospital last Friday. I suffered a 'Mini Stroke', which was not fun at all." He added last year that he would have to "start taking care of my body! Getting old!" Last year, he spoke to "Good Morning America" about the first experience. "I couldn't say words," he said. "I thought I was saying them! And, my fiance was looking at me like I was speaking a foreign language." Muniz has been engaged to Elycia Marie Turnbow since October 2011. Mini strokes are tiny lapses in blood flow to the brain that can result from blood clots or from narrowed and injured vessels that supply blood to the brain. The resulting stroke-like symptoms usually resolve after an hour or two.